HARTFORD – December 14, 2015 – Motorists are invited to test two different options being considered by the Hartford Parking Authority (HPA) to replace the current meter system on Hartford’s streets. 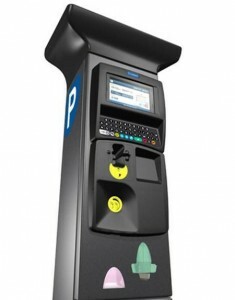 HPA is responsible for installation and maintenance of the 375 single-space meters and 258 multi-space, pay-and-display kiosks that regulate more than 1,800 on-street parking spaces throughout the City of Hartford. HPA will be holding a media event on Friday, December 18th, at 8:30am, located in front of 280 Trumbull Street (Prudential Building) in Downtown Harford to demonstrate some of the test meters’ features and to answer media questions. “Creating better parking opportunities supports Hartford businesses, and making the right decision is a win-win investment for HPA. However, as great as this technology is, it’s meaningless without effective consumer adoption and we want to hear about the user experience, as it will be an important input when making our final equipment selection. We were not able to make every user feature available to consumers during the test, however, we believe there is plenty for parkers to experience and then provide us with valuable insight,” Boone added. Test meters are located on Trumbull, Allyn, and Lafayette Streets. One option is the current black-colored, kiosk-style meter with a new operating system installed. The other option is a silver-colored bi-space meter (one meter “head” for two parking spaces). Both test options will be identified by the “Meet Me!” logo (see photos and logo attached). The testing period will be from December 18 through the end of March 2016. During the testing period, HPA will also post mobile app widgets on its website that will allow consumers to experience each meter brand’s mobile phone application. Customers are also encouraged to take a short survey and provide feedback on their experiences by visiting www.hartfordparking.com and selecting the survey banner or by visiting HPA’s Facebook page at www.fb.com/hartfordparking. HPA Parking Ambassadors will also be available at the testing locations on weekdays to assist parkers with operating the two new meter options and gather feedback.